Question: My father is 70 years old, and he also has spinal stenosis. Can laser treatment help spinal stenosis? What are the other treatment options? Hello and thanks for the question. It is a very good question. The confusion exists between the tool and the technique. The tool is the laser. The technique is where all the important stuff happens and that is endoscopic spine surgery. A laser is mainly used to thin or remove soft tissue. Sometimes it can be used to remove bone but isn’t as effective at using it for this purpose. The laser can be used during endoscopic spine surgery but is not commonly used during other traditional or minimally invasive spine surgery procedures. 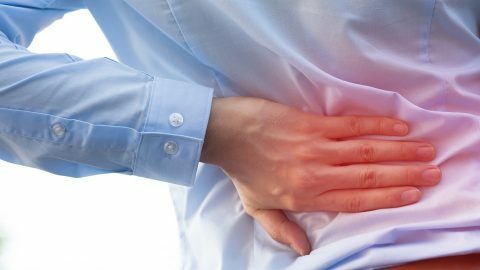 Traditional spine surgery generally requires bigger incisions, longer healing times, more blood loss, more narcotic use and a longer period of time needed to treat the postoperative pain up to 3-6 months depending on the type of surgery. Scar tissue around the nerve tissue can be quite significant. The muscle fascia is usually cut significantly which requires approximately 6 weeks to heal. Minimally invasive surgery generally has smaller incisions, shorter healing times, less blood loss than traditional surgery, fewer narcotics and usually a shorter period of time needed for treating pain with narcotics. Some patients still require a prolonged period of narcotic use up to two to three months depending on the type of surgery. Scar tissue around the nerve tissue can be quite significant. The muscle fascia still requires approximately 6 weeks to heal. Endoscopic spine surgery is vastly different in the technique because now the surgeon is placing a tube typically smaller than 7mm with a small camera at the end in the location where the problem is in the spine. The tube has a “working channel” or small tube inside the 7mm tube through which different tools can be placed to treat the problem. These tools are generally much smaller versions of the tools used during traditional or minimally invasive styles of surgery. The tools include little drills, grabbing devices, various probes, and also a laser. Without the skills required to perform the endoscopic surgery, the laser cannot generally be used effectively. The beauty of endoscopic surgery for the patient is that the postoperative pain is usually minimal and often eliminated. The size of the incision is less than a 10mm. In comparison the diameter of a dime is 17mm. The muscle damage is minimized as is the need to heal the muscle fascia. Bleeding and postoperative scar tissue around the nerve tissue is minimal. What this amounts to is a faster return to work and normal activities for most patients. It also means that those endoscopic patients don’t have the side effects of narcotics and can, therefore, drive and use machinery much sooner. So the laser is just a tool. What you want to look for is an endoscopic spine surgeon who has the skills to treat your father’s problem. Given his age, he could have spinal stenosis, a disk herniation, or facet joint pain. These are all common conditions treated with endoscopic surgery. I hope this helps. If you have other questions you can reach me at Minnesota Spine Institute.